This comprehensive nutrition guide gives parents the tools for encouraging kids of any age on the path to healthy eating. Pediatric nutrition experts Castle and Jacobsen simplify nutrition information, describe how children's eating habits correspond to their stage of development, provide step-by-step feeding guidance, and show parents how to relax about feeding their kids and get healthy meals on the table fast. 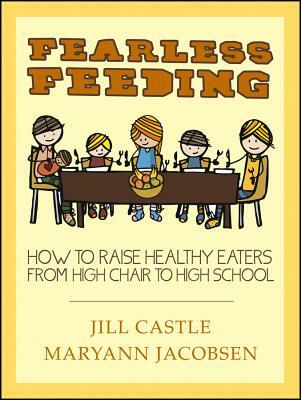 Fearless Feeding translates complicated nutrition advice into simple feeding plans for every age and stage that take the fear out of feeding kids. Jill Castle is a registered dietitian with many years of experience in pediatric nutrition. She is a consultant, speaker, and writer and blogs at Just the Right Byte. Maryann Jacobsen is a registered dietitian, freelance writer, and family nutrition expert. Maryann is founding editor of the popular blog Raise Healthy Eaters.